So finally this book wooed me. 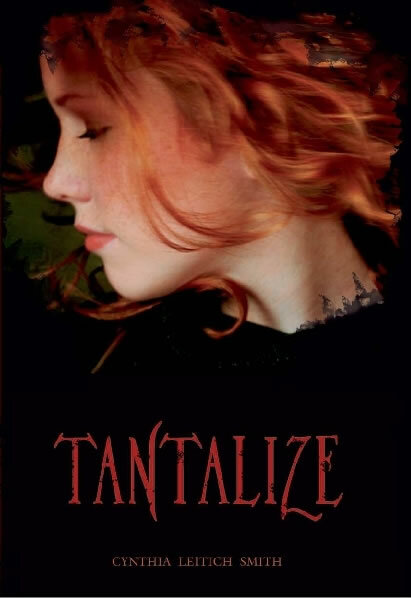 Tantalize is a very very interesting book. But when I say interesting, it doesn't mean that it was perfect. In fact, the characters are far, far, far from perfect but surprisingly, the whole story really hooked me up. It's a story of 17-year-old Quincie (I love the name) has a lot of things to think of. She's in her senior year, trying so hard to catch-up with school, have a crush with her best friend, Kieren who apparently a half-werewolf and the re-opening of her family's restaurant after her parents' recent death. Unfortunately, just days before opening, Quincie's long-time family friend and head chef, Vaggio, is murdered in the restaurant kitchen, brutally. This violent event begins a series that change her life forever. And this occasions blames a were-people, or to be exact, a werewolf. Were-people (possum, cats, wolf, anything can be a were too in this world), vampires and humans mix and together in a community. Cool. I thought it would be even curiouser when they blamed a werewolf instead of vampires. And of course, Quincie cannot trust Kieren anymore. And I even thought, "why Kieren is the bad guy? I want him to be the hero!" However, I have to admit that it's not a page turner book for about the first 50 pages. The problems of re-opening the family restaurant with a vampire theme really quite off the hook. But, it kind of worked a little with the plot she created. When there's a major plot twist toward the end of the book that I somehow completely missed, too, so I found the book to be full of surprises. I enjoyed the short chapters with titles of each as they really helped move along the pace of the book also added a lot of interest. However, I was very disappointed in the abrupt and unsatisfying ending. Another cliffhanger. It reminded me very much of the "resolution" to Rachel Caine "Glass Housess" I've read last week. To put it simply, there isn't much of one. As readers, I were left hanging to hope that Smith ties up some of the obvious loose ends in her subsequent books. Urghhh..I felt this first portion of the story could have been a little more developed. But, it's OK I guess. I'm glad Tantalize did just that and tantalized you. Great review! I'm adding to my list! AWEsome review!! I've been wanting to read this one for awhile now! Sounds like it doesn't disappoint! cool! This looks like a fascinating book - werewolves are "in" right now! I'm going to put this on my TBR - thanks for such a great review, Darlyn! @ Carrie = glad you think so..it's cool for me. but reading other review on goodreads, seemed tey rated it as 1 star.i'm shocked! This sound rather interesting and make me wonder how come I've never known of its existence *lol* Gah, you sure make me wonder where you actually buy this book. I went to MPH Mid Valley in the past week and I cannot see much of these titles over there! @ Shy = I happened to found this on pre-loved books online. we don't have MPH in bintulu. just a small POPULAR bookstore with out of stock book list. hi darlyn! a community of paranormal characters, with a sort of feud between vamps and werewolves? sounds interesting. i've seen this book around the blogosphere but yours is the first review i've read about this book. thanks for your honest review! I totally wish that Eternal had been a sequel too! Another look at Quincie and Kieren would have been fantastic. But, don't worry, Eternal is really good in its own right too.